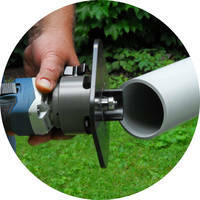 DEB1 tools deburr and chamfer PVC, CPVC, ABS, PE, and PP pipe up to 2 in. dia to manufacturers' standards within seconds, and solvent spreads evenly as chamfered pipe is joined. Options are available for iron pipe size (DEB1IPS), copper tube size (DEB1CTS), or metric up to 32 mm. 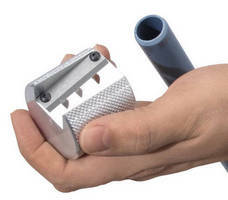 Deburring tools, designed with internal pipe guides and knurled grip for slip-resistance, also feature blades that may be sharpened or replaced. 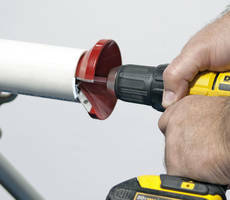 Plastic pipe joints succeed with smooth, chamfered ends allowing proper fit up. 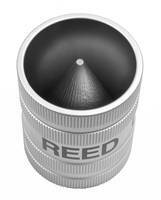 Reed’s DEB1 tools deburr and chamfer to manufacturers’ standards in seconds. Solvent spreads evenly as the now chamfered pipe is joined. 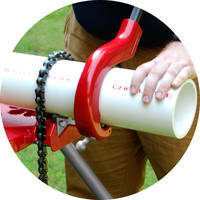 Use for PVC, CPVC, ABS, PE and PP pipe up to 2” diameter. Find three sizes in one tool for iron pipe size, copper tube size or even metric up to 32 mm. 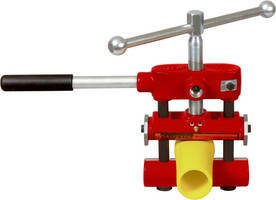 DEB1 deburring tools are a patented Reed design with internal pipe guides and a knurled grip for slip-resistance. The blade is sharpenable and/or replaceable.